Since our beginning in 1995, Wipf and Stock Publishers has been publishing new books that serve the church and academy under our general imprint, Wipf & Stock. The publishing focus of Wipf & Stock is broad, offering titles in biblical studies, theology, ethics, church history, linguistics, history, classics, philosophy, preaching, and church ministry. Of course the Wipf & Stock imprint is well known for its wide range of reprints, including the work of some of the most substantial names in theology, biblical studies, and church history. ​How should Christians respond to war? Grounded in conservative evangelical theology, this book argues the historic church position that it is inadmissible for Christians to use violence or take part in war. It shows how the church’s propensity to support the “just wars,” crusades, rebellions, or “humanitarian interventions” of its host nations over time has been disastrous for the reputation of the gospel. Instead, the church’s response to war should simply be the church, by preaching the gospel and making peace in the love and power of God. The figure of the Virgin Mary comes loaded with baggage and preconceptions. She is usually depicted as the perfect, obedient, and highly esteemed woman, much like the Victorian notion of the "angel in the house." For many black women, nothing could be more inaccessible. This book considers the relationship between African American women and Mary of Nazareth. After examining the history of black American motherhood during slavery and beyond, this book then gives an overview of the existing views of Mary in both the church and the academy. Lee then brings African American women and Mary together, creating a womanist Mariology by using womanist biblical and theological interpretation, as well as considering black motherhood during the age of "Black Lives Matter." Intimate Partner Violence (IPV) or Domestic Violence (DV) continues to be a perennial issue in the Black church and Christendom as a whole. Women in the church continue to experience violence at increased rates, but leadership has been delayed in providing a meaningful response to violence as families experience the turmoil of abuse. Further, more and more children suffer from the trauma of family violence that perpetuates, as males who witness violence have a greater susceptibility of becoming abusers, and females who witness abuse are put in risk of choosing abusers in relationships. The church must now become the leading agent of change in the struggle to reduce and end family violence by addressing the heart of the issue, the pulpit, namely male leaders in the church who abuse their wives and hide behind the scripture text. The church must expose the biblical truth regarding marriage and relationships and embed policy within the by-laws of the church that provide victims and survivors with opportunities for confidential reporting, resources when they are ready to leave, and on-going support for women who desire to transition from abuse to survivorship. Hidden in His Own Story is an invitation to reconsider and re-imagine both the humanity and divinity of Jesus. It is an invitation to people who are not familiar with the Bible stories and have only heard them through other sources, also to many who have rejected traditional interpretations of the stories as religious dogma, and to many people who are so steeped in the stories that they have become cliché. Even the most clever storyteller or writer of fiction can never totally disguise or deny their personal influence on the story. And, most of us have had the experience of someone beginning a story with, "I know a person who . . . " when in fact that "person" is the one telling the story. Why not imagine the same when Jesus says, "Once there was a man . . . ?" In this new introduction to the Apostle Paul and his gospel, written especially for lay readers, for beginning students, and for those unsure about what to make of Saul of Tarsus, who became the Apostle, Paul, Michael J. Gorman takes the apostle seriously, as someone who speaks for God and to us. After an overview of Paul's radical transformation from persecutor to a follower of Jesus, Reading Paul explores the man and his teaching. Ken Evers-Hood looks at Jesus through the lens of cognitive heuristics (mental shortcuts) and biases (blind spots), and makes the case that a fully human Jesus is predictably irrational—just like all of us. He got angry at people and events, he had limited knowledge of his world and the future, he made mistakes, and he changed his mind. What kind of a messiah is that? Could he be the son of God? The author says, "absolutely!" What's Christian about Star Trek? Nothing. That's the way most people see it and that certainly seems to be the way the franchise is intended. There's no question that the Trek universe is based on a doggedly humanistic worldview and is set in a future time when religion has essentially vanished from Earth. If that's the case, how can there even be a ''Gospel According to Star Trek''? In The Gospel According to Star Trek: The Original Crew, you'll discover how the continuing voyages of Kirk and company aboard the Enterprise from the Original Series to Star Trek Beyond tell us more about our human quest for God than you ever imagined. You'll learn how Star Trek creator Gene Roddenberry's own spiritual quest informed the franchise, what he and the series really have to say about God and religion, and the amazing image of Christ contained in Star Trek's most popular character. You'll also see how Star Trek can help us recover a deeper, more fully human gospel that embraces our humanity instead of denigrating it and echoes the call of both Spock and Christ: ''Live long and prosper!'' (John 10:10). Does God truly love all persons? Most Christians think the obvious answer to this question is, "Yes, of course he does!" Indeed, many Christians would agree that the very heart of the gospel is that God so loved the whole world that he gave his Son to make salvation available for every single person. This book shows that one of the most popular and resurgent theological movements in the contemporary evangelical church—namely, Calvinism—cannot coherently and consistently affirm this vital claim about the love of God. While some Calvinists forthrightly deny that God loves everyone, more commonly Calvinists attempt to affirm the love of God for all persons in terms that are compatible with their doctrines that Christ died only for the elect—those persons God has unconditionally chosen to save. This book shows that the Calvinist attempts to affirm God's love for all persons are fraught with severe philosophical and theological difficulties. Calvinism, then, should be rejected in favor a theology that can forthrightly and consistently affirm the love of God for all persons. Nothing less is at stake than the very heart of the gospel. MOTHER, WHERE ARE YOUR TEETH? This is a story about Helen, who developed dementia, and her daughter Trudy, who became her caregiver. Mother-daughter relationships can be challenging and theirs was--then dementia entered their lives. Dementia, a cunning intruder, can mask itself over a period of years. Trudy was constantly confused by her mother's actions, which led to numerous arguments. For centuries, Christians sought to rescue people from this world. Today, we're trying to fix it. While this shift is helpful in some ways, in other ways it can be quite dangerous. Endangered Gospel flips the script on this conversation by stressing the core gospel truth that rather than ushering in a new world through social activism, God's people already are the new world in Christ. It's not our job to make this world a better place, but to be the better place God has already made in this world. That's good news! If we let go of this truth, we become servants of the world and not God. We also lose the great joy and abundant life that God intended us to have in community. Jesus himself said that the world will know we are Christians by our love for one another--not the fervor of our activism. Social action makes us feel relevant and alive, but it can't be the center of our new life in Christ. Endangered Gospel explores how we might enthusiastically embrace the social dimensions of the gospel without divorcing them from the church or forcing them on the world. Read this book, hear the gospel story afresh, and embrace the good news of God's kingdom! When the group decided to meet regularly over craft beers to study the historic foundations of their faith, their findings both rock their world and resolve ancient mysteries. They examine well-documented narratives of the early Jesus saga, Eastern streams of a lost Christianity, and the roots of our modern religious assumptions, all while striving to steer clear of either a conservative or liberal bias. What they uncover is a vital, refreshing spiritual paradigm no longer at odds with reality. Grab your brew of choice and trace this transformational journey based on a true story that will encourage you in your walk of life and faith. 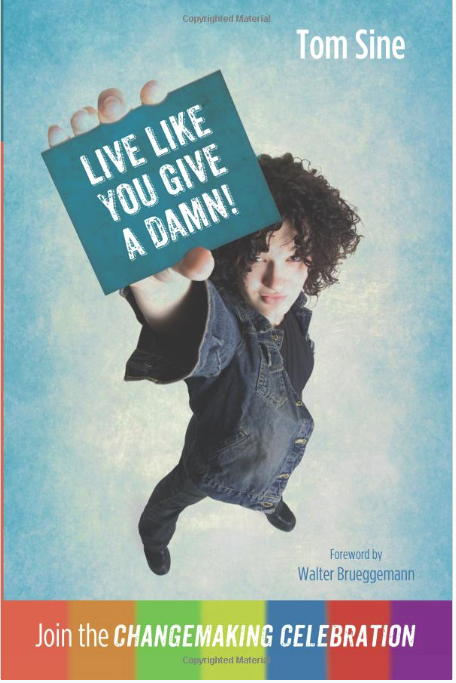 In this book Tom Sine offers practical ways you can join those who are creating their best communities, their best world, and in the process their best lives. Sine shows that in a world changing at warp speed, following Jesus is a "design opportunity." It is not only an opportunity to design innovative ways to make a difference but also an opportunity to create lives with a difference, in the way of Jesus, that are simpler and more sustainable--and to throw better parties along the way. Why would anyone want to settle for less and miss the best? ​Do Something Else is meant to encourage faith communities and their leaders to reconsider "church as usual" reengage Spirit-led entrepreneurialism, and reimagine new models of ministry bubbling up in their midst. Many churches and leaders are already setting the pace. They are establishing new gatherings in old buildings and using new building to do old things. They are emphasizing diversity, welcome, and friendship. If these stories are hidden from view, they shouldn't be. These pages will uncover how new expressions get started, how they are led, how they struggle, and how they are sustained. Do Something Else will encourage candidates for ministry who see limited options, ministers who wonder about staying in ministry, clergy call-seekers trying to find hope in a desolate career landscape, and churches attempting to manage staffs with limited resources. It will also offer permission to small churches resigned to be "without a pastor" larger churches looking to do a new thing in an unorthodox way, and middle governing bodies who need promising examples of working models in order to take the risk on new opportunities. Is There A Christian politics For The Twenty-First Century? It is important, the author argues, to ask how creation provides guidance for political conduct; for politics to be an exercise in piety; and to approach politics in a fallen world with prudence and not in pursuit of ultimate solutions. But it is even more important to begin with Jesus Christ. Christ is the rightful ruler of the world who exercises power by suffering and dying for guilty humans. All political activity is held to the standard of Christ's sacrifice. In this book, Timothy Sherratt surveys major Christian political initiatives and schools of Christian political thought, with a particular emphasis on American politics, before outlining ways in which Christians in churches can practice faithful political engagement. ​​How would politics be different if Christians acknowledged Jesus Christ as the archetype of all rulers, democratic and nondemocratic? How would our practice of politics change if we recognized the suffering love of Christ as the truest exercise of power? ​ Power Made Perfect? offers a distinctive approach to government and politics. 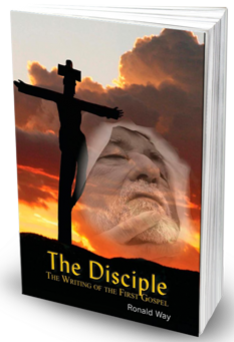 WIPF and Stock is proud to announce (for the first time) the reprinting of the book, The Disciple, by Ron Way, the host of AuthorTalk. Ron is a 30-year student of the New Testament, First Century Judaism, and early Christianity. ​As strange as it might seem to modern man, God is present, Jesus did walk amongst us, and miracles still occur. If you have ever wondered what it was like to live at the time of Jesus, prepare yourself, you are about to live it through the eyes of someone who was there. In recent years, a number of works have appeared with important implications for the age-old question of the existence of a god. This book brings together for the first time such recent diverse contributions from fields such as physics, the philosophy of human consciousness, evolutionary biology, mathematics, the history of religion, and theology. Based on such new materials as well as older ones from the twentieth century, it develops five rational arguments that point strongly to the (very probable) existence of a god. For those who are already believers, the book will offer additional rational reasons that may strengthen their belief. Those who do not believe in the existence of a god at present will encounter new rational arguments that may cause them to reconsider their opinion. Are you are a busy Christian trying to navigate the demands and values of a culture moving at hyper speed? Then this book is for you. This is a book for those who long for something more . . . or something less. Sabbath spirituality attends to that longing. The ancient practice of Sabbath contains within it incredible riches waiting to be rediscovered. But is a spirituality rooted in Sabbath realistic in our fast-paced world? Why is the idea of Sabbath even worth considering today? Listen to our author, Bob Muthiah, explain how Sabbath leads us to wrestle with the gods of Consumerism, cage the animal of Technology, and pursue God's justice on behalf of all people. What emerges is a Sabbath spirituality that wonderfully colors the other six days of the week as well as Sunday. In this groundbreaking book, Michael Gorman asks why there is no theory or model of the atonement called the "new-covenant" model, since this understanding of the atonement is likely the earliest in the Christian tradition, going back to Jesus himself. Gorman argues that most models of the atonement over-emphasize the penultimate purposes of Jesus' death and the "mechanics" of the atonement, rather than its ultimate purpose: to create a transformed, Spirit-filled people of God. Gorman therefore proposes a new model of the atonement that is really not new at all--the new-covenant model. He argues that this is an ancient model in need of rediscovery. In the course of Theodore Lewis' career in the US Foreign Service--spanning twenty-nine years and including tours of duty in Vietnam, Pakistan, the Congo, and Korea--he came upon many significant links with theology. It is a story of God bringing good out of human tragedy. Lewis ends by drawing together the implications of these links for natural theology, which deals with how theology ought to relate to the world--and thus is of prime importance for both theology and the world. The salient implication of these links is that the Holy Spirit operating as at Pentecost can bring together the secular with the theological, the academic with the human. Robert Meagher is a powerful author. He has written a book called Killing from the Inside Out: Moral Injury and Just War. It is a book about “Just War” and our damaged warriors that come back from them; but here is what grabbed my interest, over half of his book deals with Jesus’ philosophy of​ non-violence and how he might react to the world in which we find ourselves today. If you have thought about the violence in the world, and passed judgment, one way or another, then I highly recommend that you tune in as I try to get inside our author’s mind. Our conversations were so powerful for me that I couldn't let him go. He and I continued for quite a while after I finished the interview. The adherents of Islam and Christianity comprise half of the world s population, or 3.5 billion people. Tension between them exists throughout the world and is increasing here in North America. In ''How Not to Kill a Muslim'', Dr. Joshua Graves provides a practical subversive theological framework for a strategic posture of peaceful engagement between Christians and Muslims. Based upon both academic and personal experience this book will provide Christians with a clear understanding of Jesus radical message of inclusivity and love. There is no one who is not a neighbor. There is no them. There is only us. Our future depends upon this becoming true in our cities, synagogues, churches, and mosques. The true test of Christianity is what it offers those who are not Christian. And it starts with Islam. R. S. Thomas (1913-2000) was a major poet of the twentieth century. He was respected by luminaries of the literary establishment, recognized with numerous awards, and nominated for the Nobel Prize in 1996. Thomas was also a priest of the Anglican Communion who wrestled ceaselessly with problems of faith and doubt in his poetry. John G. McEllhenney makes R. S. Thomas' poems, ministry, and irascible character come brilliantly alive in his new book, A Masterwork of Doubting-Belief: R. S. Thomas and His Poetry. Host, Ron Way says, "This interview was one of the most delightful in memory. What a joy to meet R.S. Thomas for the first time through the eyes of John McEllhenney and his book, A Masterwork of Doubting-Belief." The Apostle Paul's dramatic and much-discussed conversion on the road to Damascus radically changed the course of his life — as well as the Christian religion. Can a new narrative, and a new perspective, be brought to this two-thousand-year-old story and centuries of critical thought and study? Writer and filmmaker Robert Orlando believes it can. Apostle Paul: A Polite Bribe is a dramatic and challenging book, inspired by his controversial film of the same name. Paul, as one of Christianity's most celebrated converts, may have needed more than faith and fervor to convince the other apostles to accept his vision of Christian ministry.